Rafikul Islam received his M.Sc. degree in Applied Mathematics from the University of Calcutta and Ph.D. in Operations Research from the Indian Institute of Technology, Kharagpur, in 1988 and 1996, respectively. Presently, he is working as a Professor at the Faculty of Economics and Management Sciences of International Islamic University Malaysia (IIUM). He served as the Head of the Department of Business Administration of IIUM for two years. He also served the Faculty as the Deputy Dean (Academic Affairs) for three years and the university as Deputy Dean (Strategic Planning and Decision Makin ... show more g) for one and half years. Rafikul has taught several courses in Business and Information Technology at both the undergraduate and mastera? ?s level. He is a member of Malaysian Institute of Management and life member of Indian Society of Technical Education. 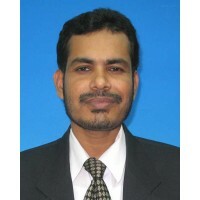 Rafikul has published over 50 research articles in international journals that include European Journal of Operational Research, International Journal of Business Information Systems, IIUM Journal of Economics and Management, Asia-Pacific Management Review, Military Operations Research, Socio-Economic Planning Sciences. He has attended international conferences in countries belonging to five continents: Asia, Europe, North America, South America, Africa and presented research papers. He has published two books: Essentials of Management Science published by Thomson, Singapore and The Analytic Hierarchy Process: An Effective Multi-criteria Decision Making Tool published by IIUM Press. He received IIUM Quality Research Award in 2006. He is an Associate Editor of two journals: Malaysian Management Review and International Journal Business and Systems Research. His areas of research interest include Multiple Criteria Decision-Making; Quality and Operations Management. Natural Science ~ Mathematical Sciences ~ Applied Statistics ~ Decision Theory - is in the particular area of Malaysian Vision 2020; a number of papers published on Vision 2020. Economics, Business And Management ~ Economics, Business And Management ~ Operations Management ~ Operation Research/Management Science - Did Phd in OR; A book and many papers published in OR journals. 24 November 2017 Best Paper Award. Academy for Global Business Advancement - International level. 24 November 2017 Most Distinguished Academic Accomplishment. Academy of Global Business Advancement - International level. 10 November 2016 Business Excellence Lead Auditor. Malaysia Productivity Corporation - National level. 24 September 2009 AGBA Distinguished Scholar. Association for Global Business Advancement - International level. 29 July 2008 Bronze Medal. Universiti Putra Malaysia - National level. 21 May 2007 2007 AGBA ASEAN Academic Leader. Association for Global Business Advancement - International level.